Q. 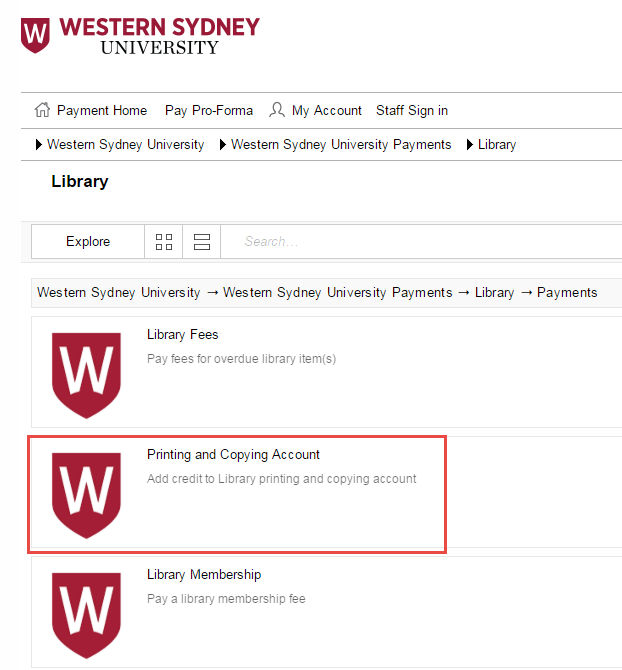 Can I use my credit card to pay for photocopying and printing? Yes. The ePay kiosk in the library accepts credit and debit cards. If you are a current student or member of staff with the University, you can also add value to your ID card online with a credit card through OneStop, by selecting Printing and Copying Account. Please note that funds added online will be available for use within 15 minutes.